The Capitol of Puerto Rico is located on the Islet of San Juan just outside the walls of Old San Juan. The building is home to the bicameral Legislative Assembly, composed of the House of Representatives and Senate. The building is located in the Puerta de Tierra sector of San Juan. The Capitol is also commonly referred to as the Palace of the Laws or “Palacio de las Leyes”. 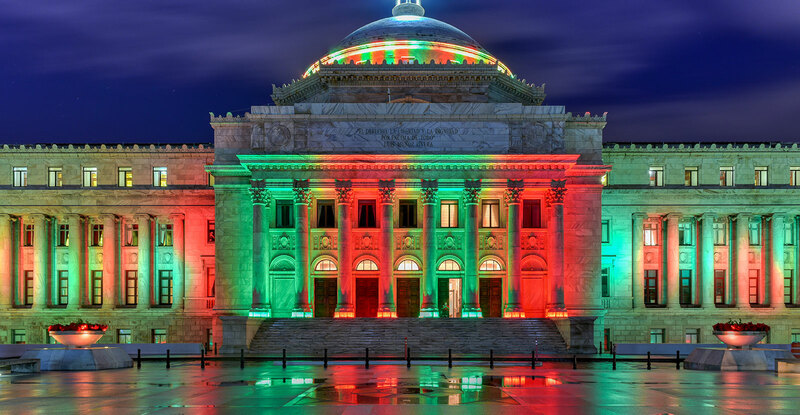 Each year this emblematic building is illuminated with the colors of Christmas, making its architecture stand out and becoming a spectacle of color. Hours: Monday thru Friday, 9:00 am, 10:00 am, 11:00 am, 1:00 pm, 2:00 pm, 3:00 pm & 4:00 pm. 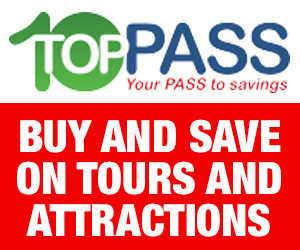 Admission is free and tours are conducted in both Spanish and English.